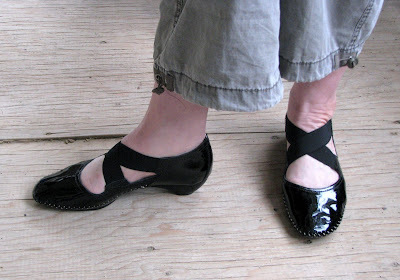 I had a porch sale yesterday, and a friend showed up wearing these adorable patent leather shoes. I can't wear heels, so I'm always looking for stylish and comfortable flats. She got them on sale at Saffron Road, which is the only way I afford to buy anything there!